Gulet CasaDell'Arte II (or CDA II) is an extraordinary yacht measuring 35 m that features exceptional style, and offers quality and luxury. 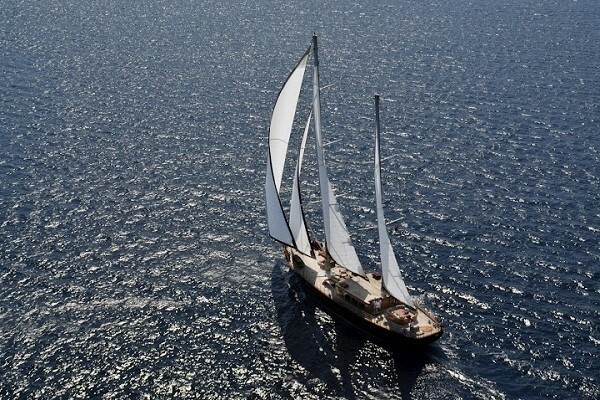 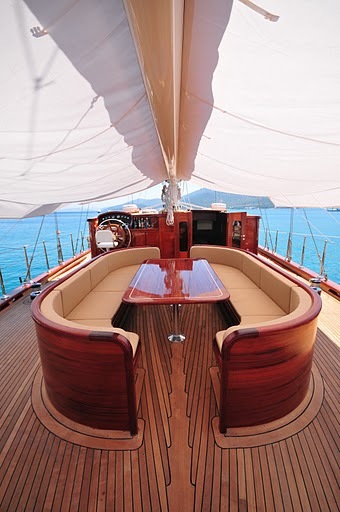 Sailing yacht CasaDell'Arte II (CDA II) was designed to please the most demanding of yachtsmen. 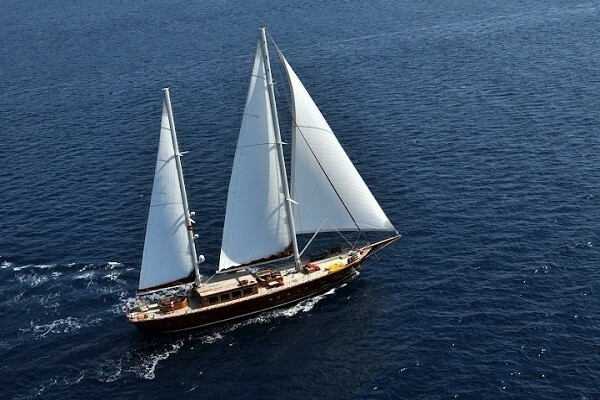 Built for smooth sailing, this elegant cutter rigged sloop has a sleek hull design ensuring excellent sailing performance and can comfortably reach engine cruise speeds of 12 knots. 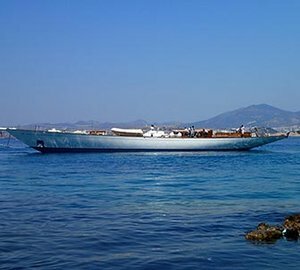 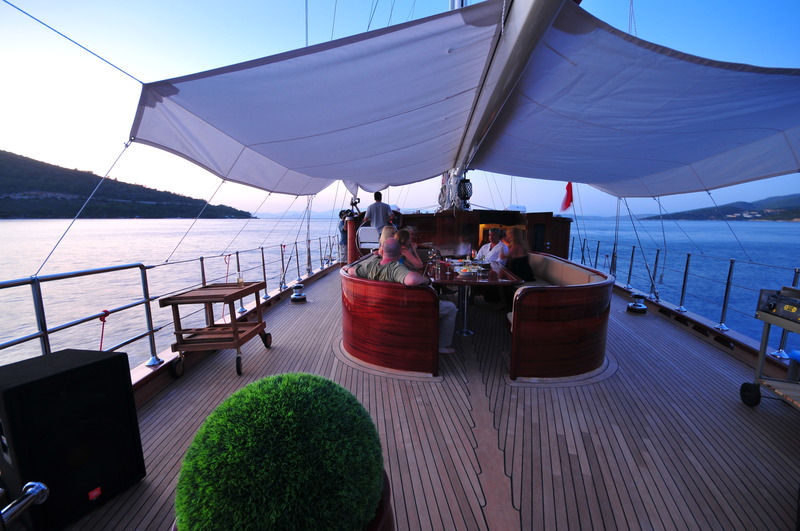 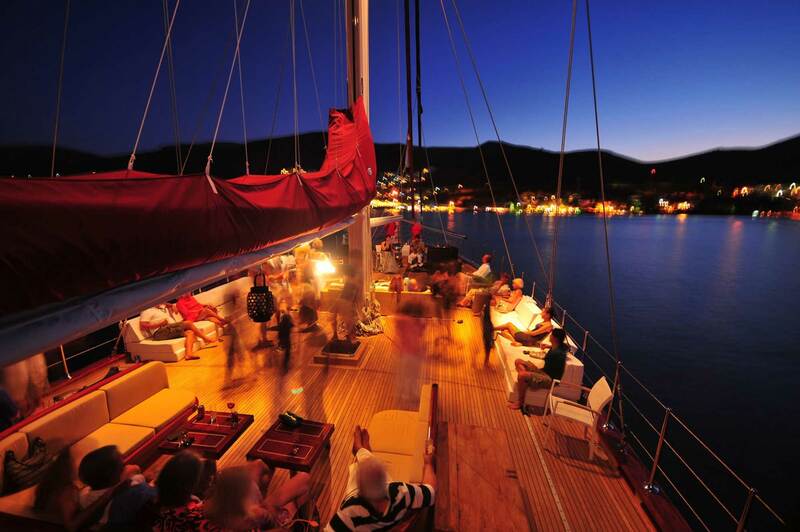 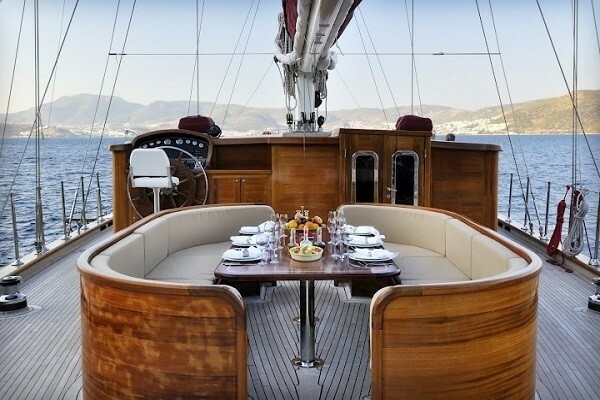 Gulet CasaDell'Arte II (CDA II) has a generous teak deck offering plenty of space for sunbathing. 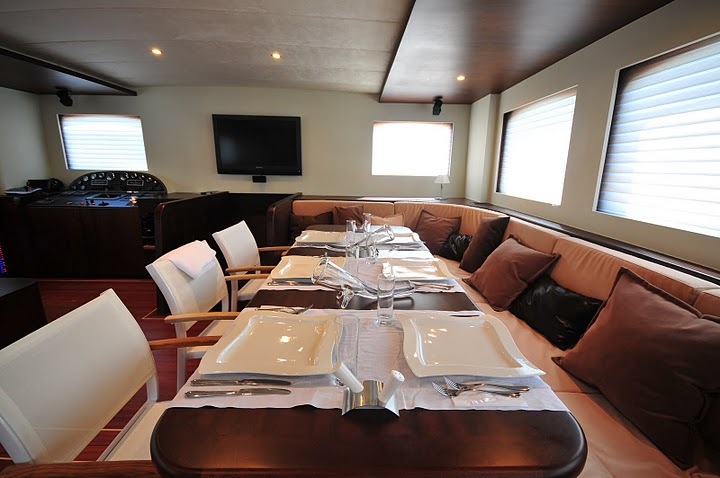 The spacious outdoor saloon has a large table and a barbeque, a perfect setting for outdoor al fresco dining and entertainment. 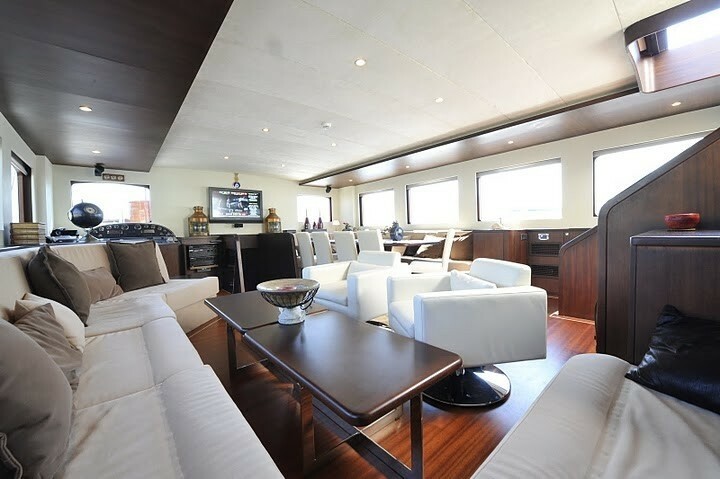 From the cockpit, a stairway leads to the light-filled spacious saloon offering ample seating, ideal for relaxing or entertainment (with a DVD – CD player, PS3) and a formal dining area with seating for up to 10 guests. 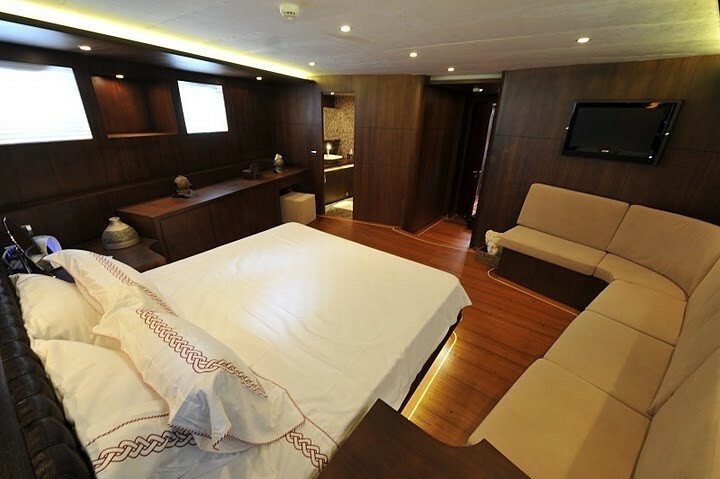 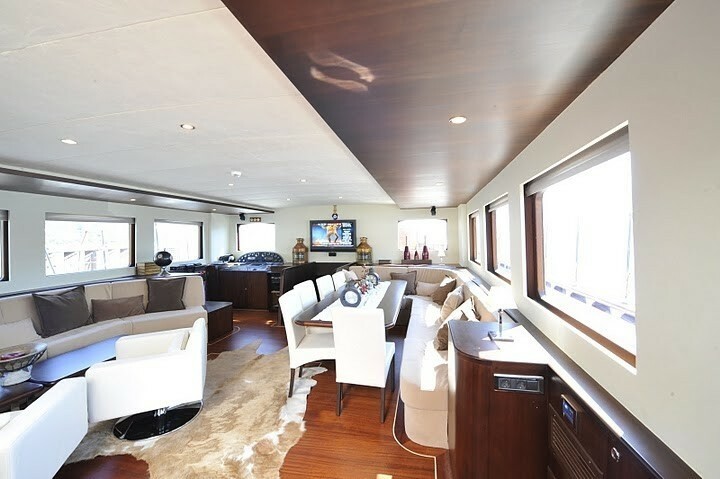 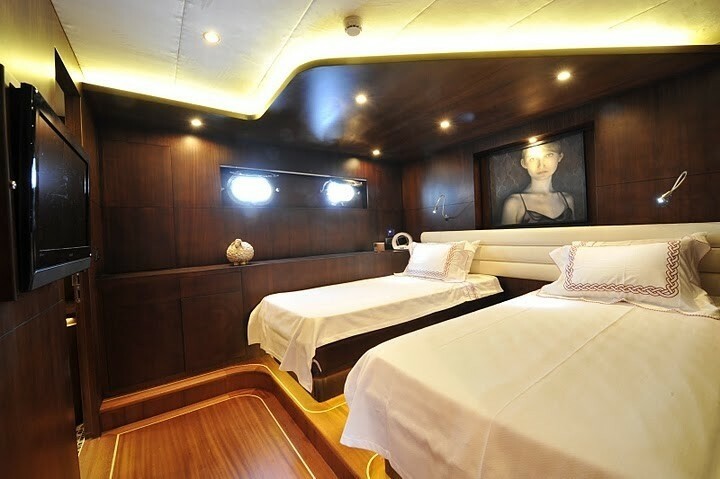 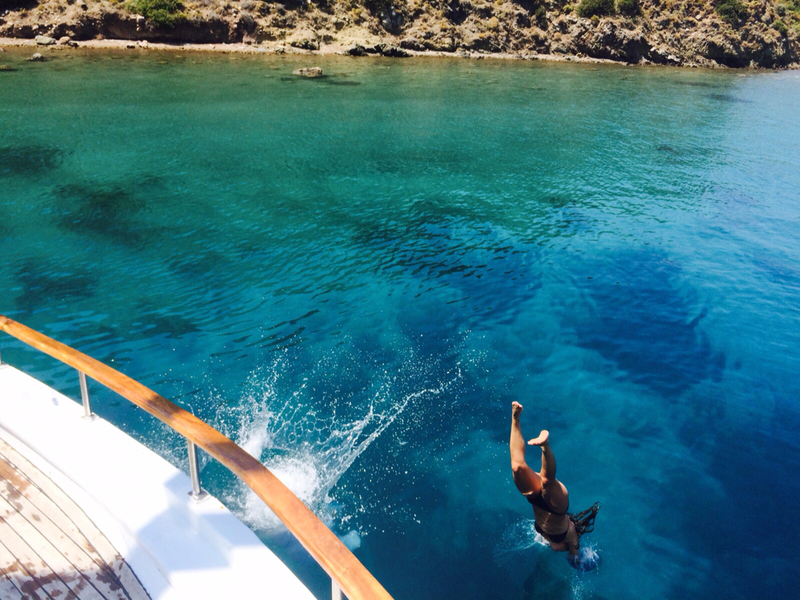 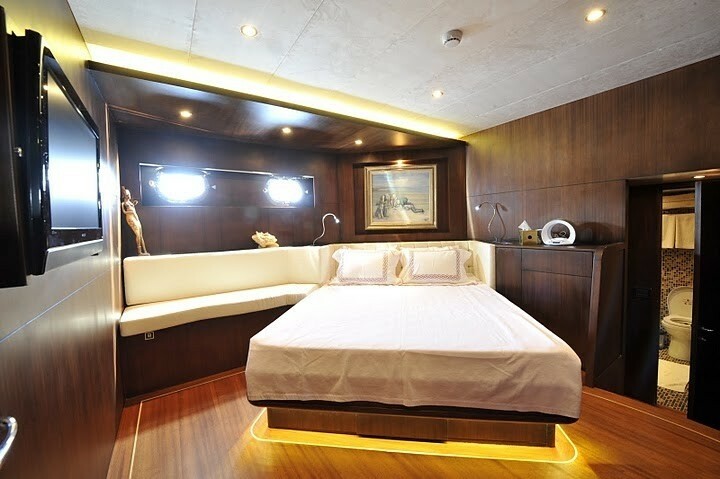 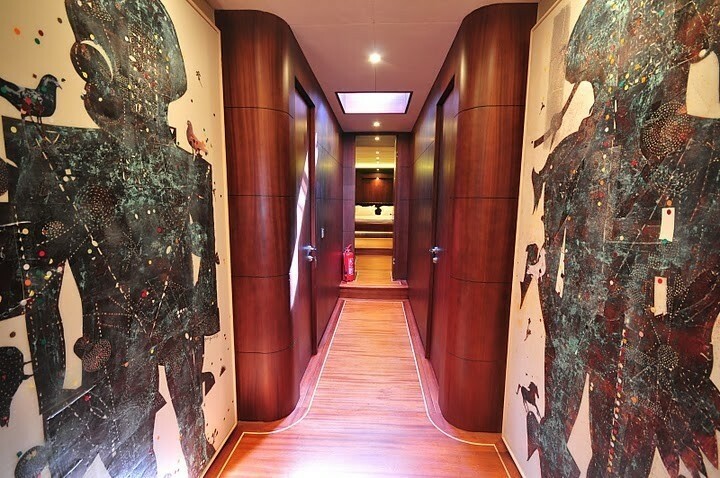 Turkish based yacht CasaDell'Arte II (CDA II) can accommodate up to 10 guests in 3 Master and 2 Twin staterooms. 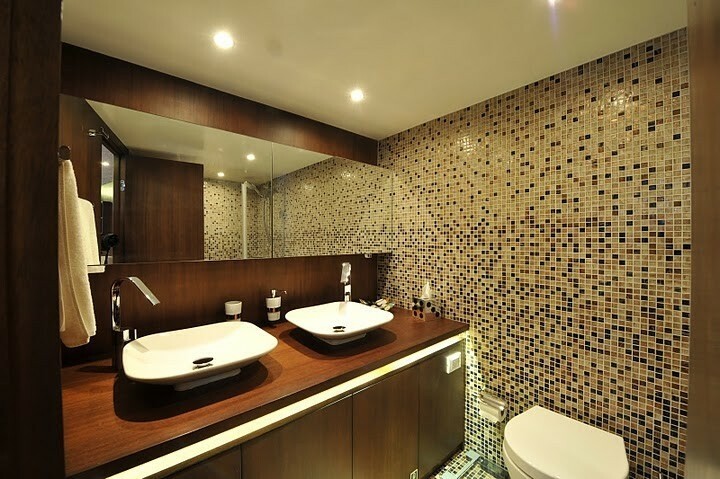 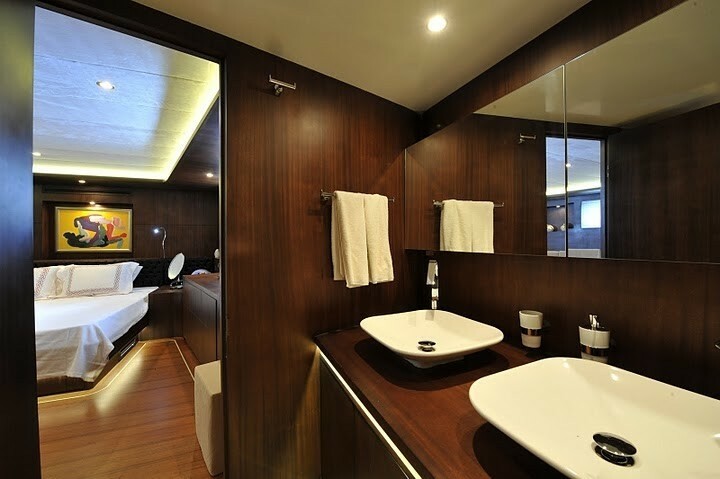 With luxurious standards, her staterooms display famous artworks and feature air conditioning, TV and i-pod dock and ensuite facilities. 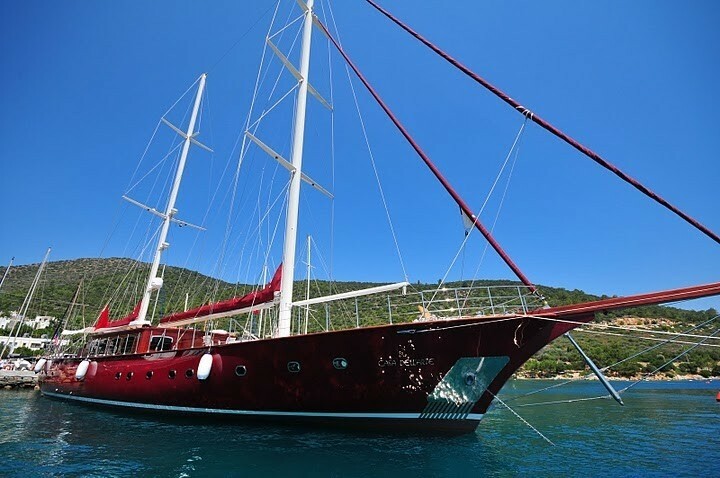 For the ultimate charter experience explore underwater by snorkeling or stay above the crystal clear waves and ne entertained by a variety of water sports such as the Jet Ski, Canoe, Wakeboard, Water Ski, and Kneeboard. 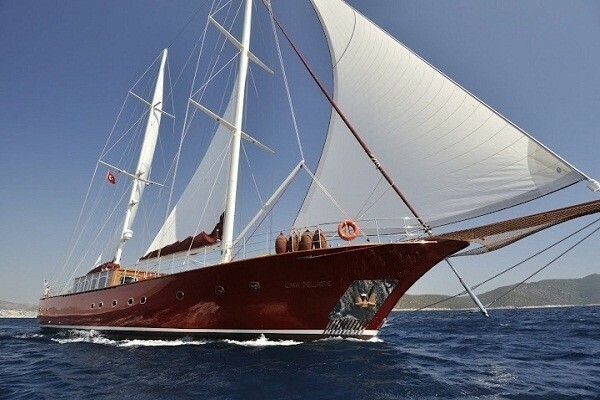 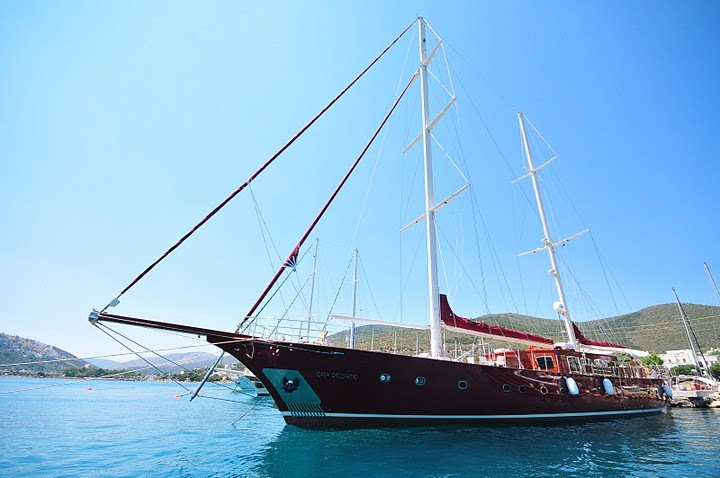 Gulet CasaDell'Arte II (CDA II) offers a five-star service to meet the guests every need with an experienced captain, an onboard Chef, waiter, deckhand and a guest relations manager who speaks several languages.